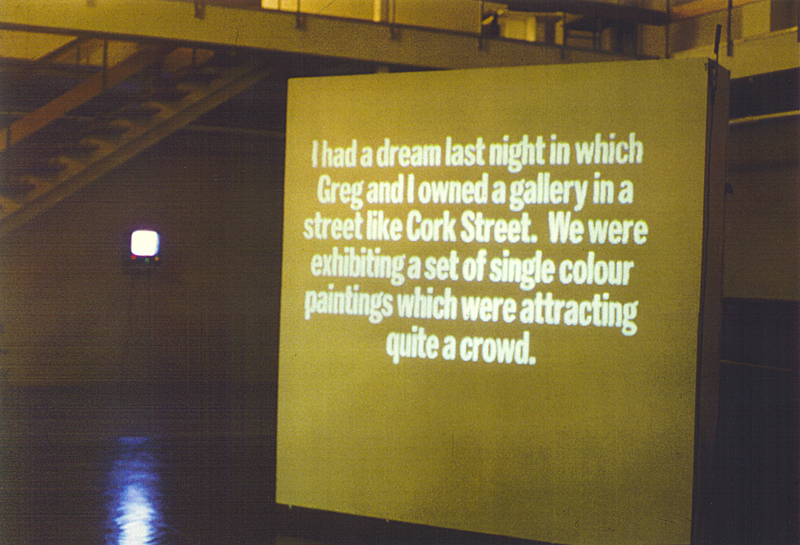 'False Parallels' is a video text projection. 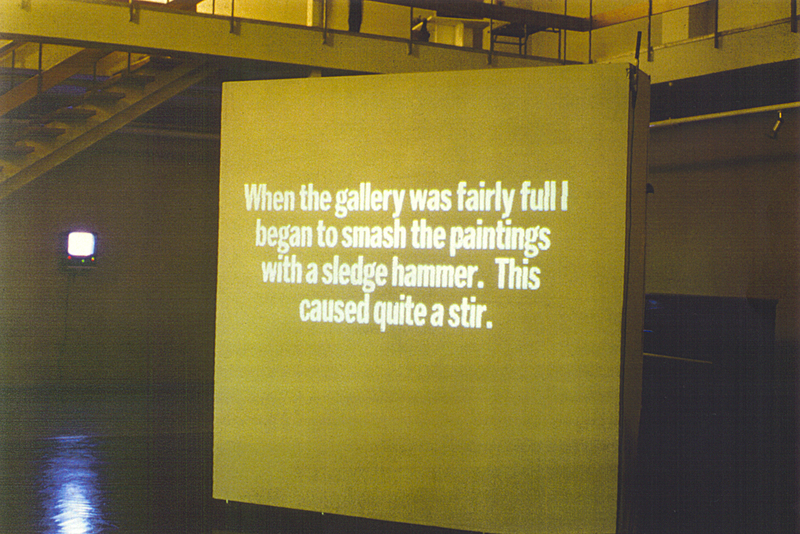 The text fades in and out in the manner of movie titles recounting statements, rules, dreams and stories that are directly and indirectly connected to the practice of art. It asks questions about reality, value, meaning and context but provides no real answers. The decision as to whether the rules should be followed or the stories are true is left to the viewer.